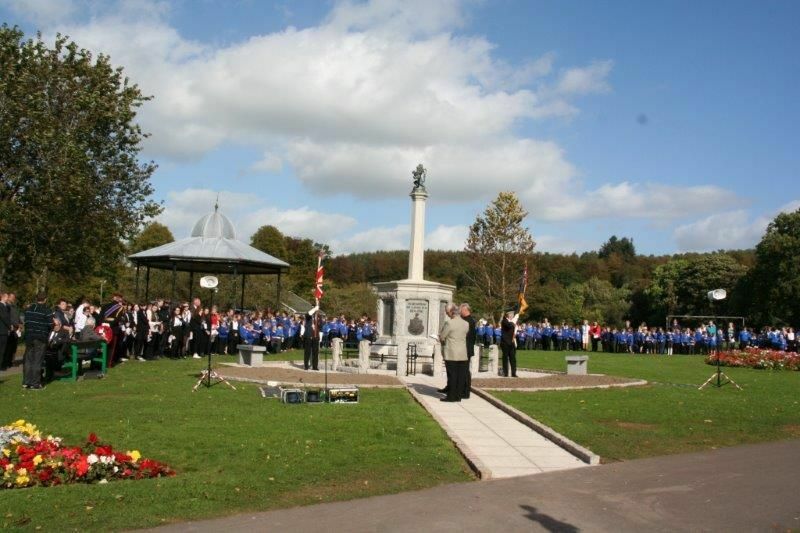 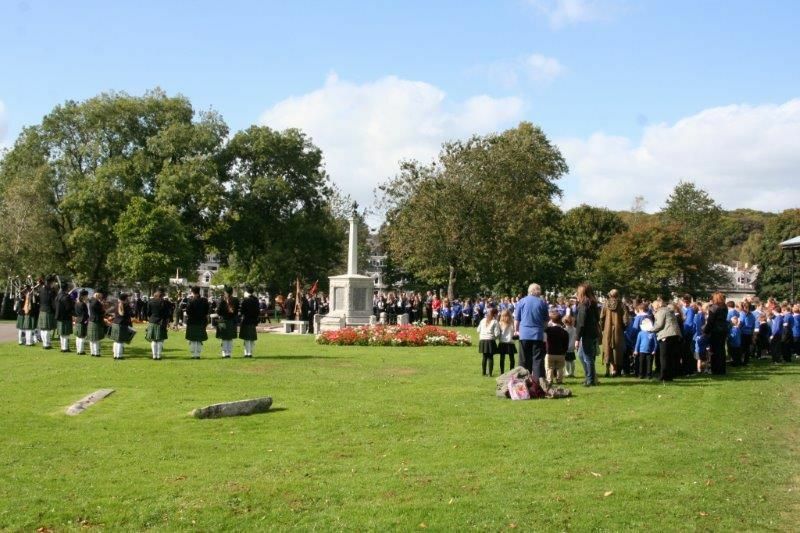 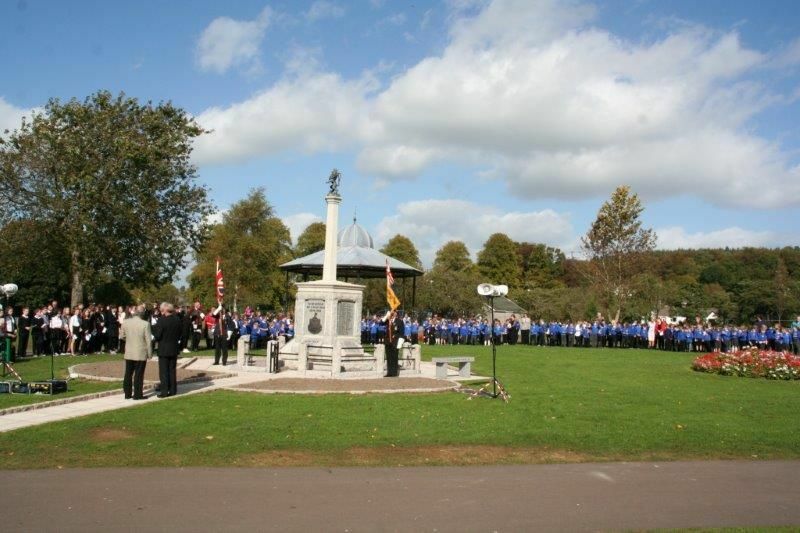 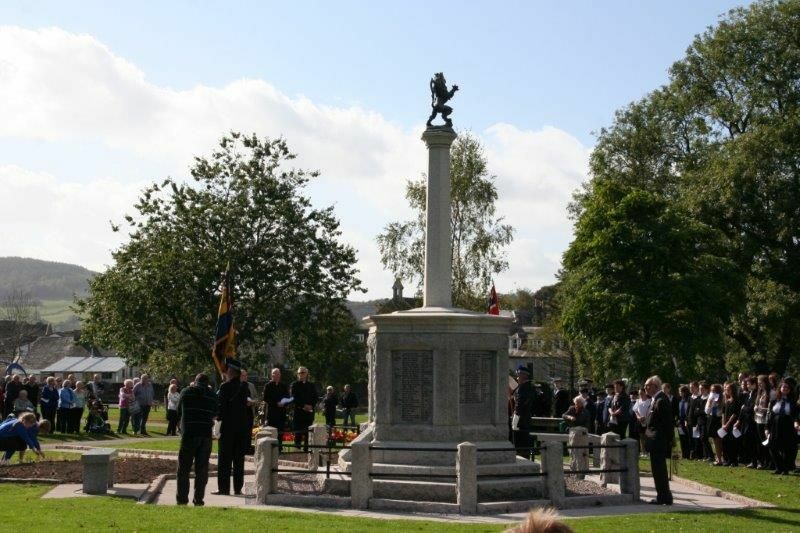 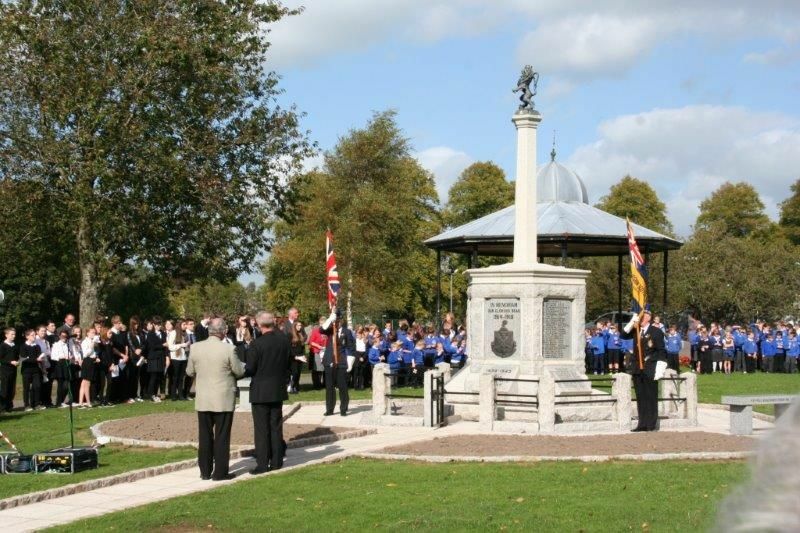 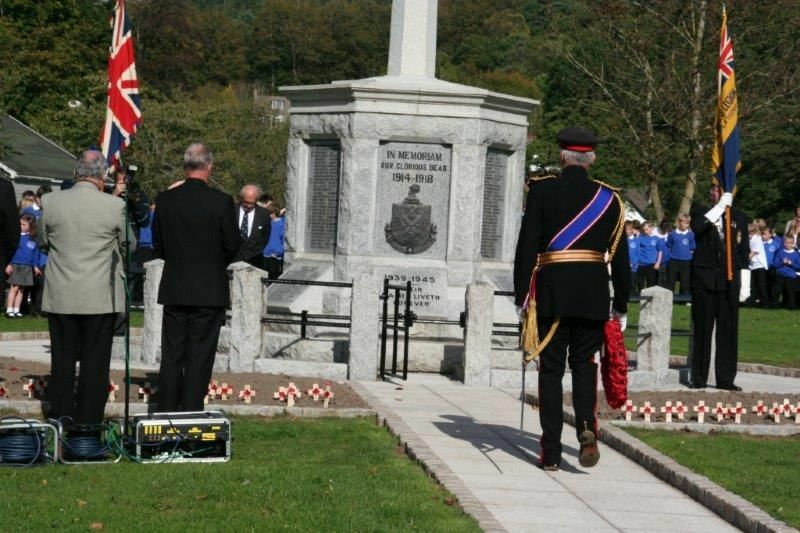 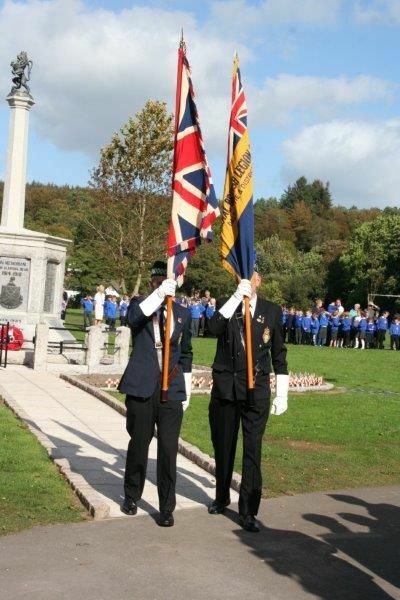 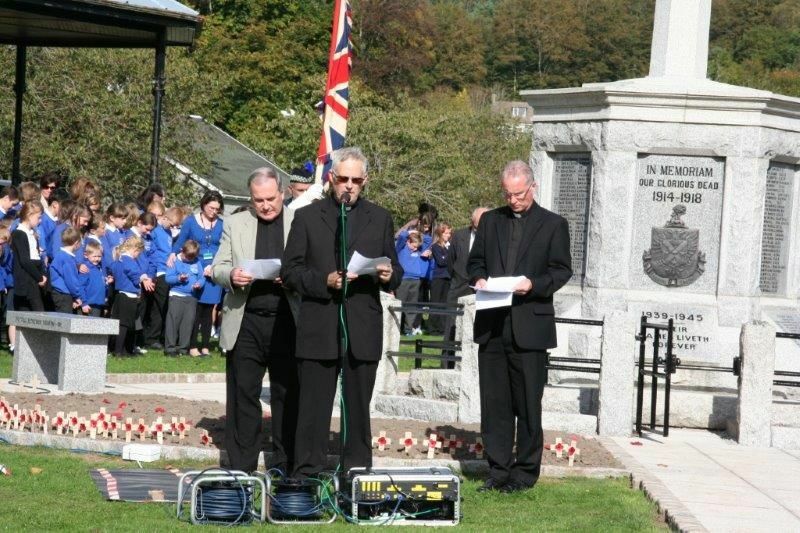 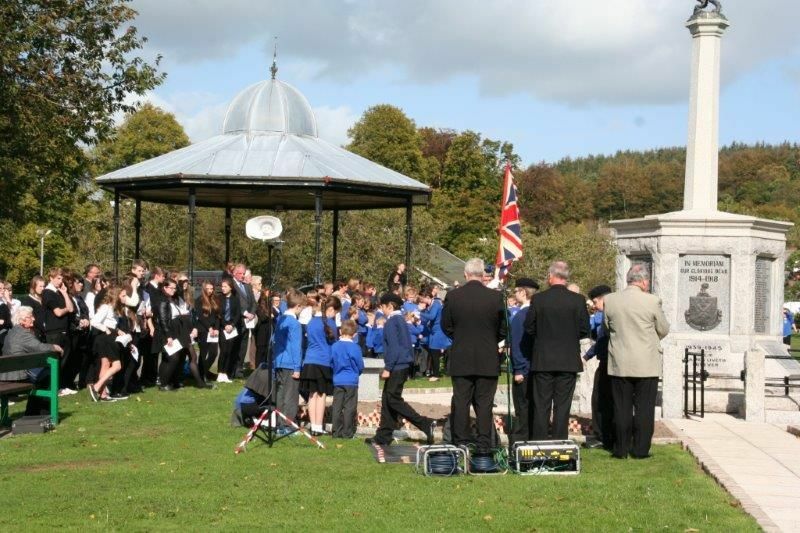 Following a £12,000 upgrade to the town's war memorial, the local Branch of the Royal British Legion organised a commemoration service for Friday 26th September to allow people to pay their respects to the young men of the town who gave up their tomorrow, so that we could enjoy our today, during the battles of the Great War and is the most important event held at the memorial since it was built in 1921. 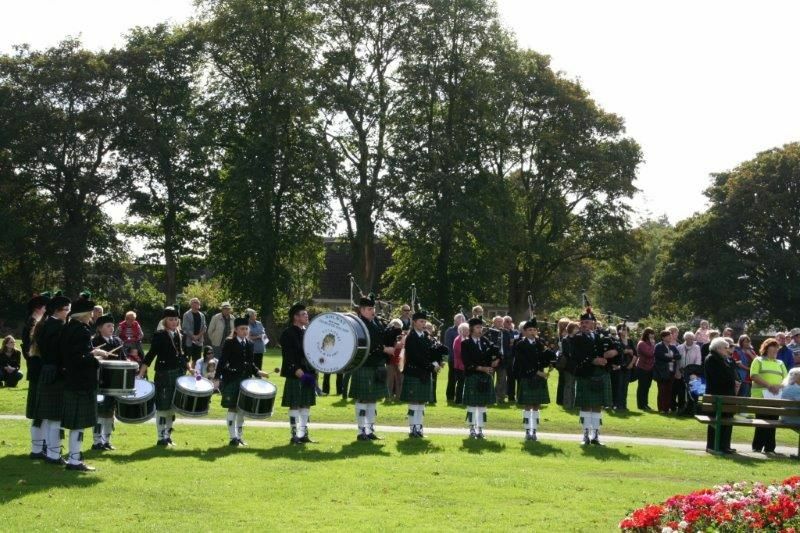 A sunny Friday afternoon saw a good turnout of local youth organisations, church representatives, school pupils and pipe band. 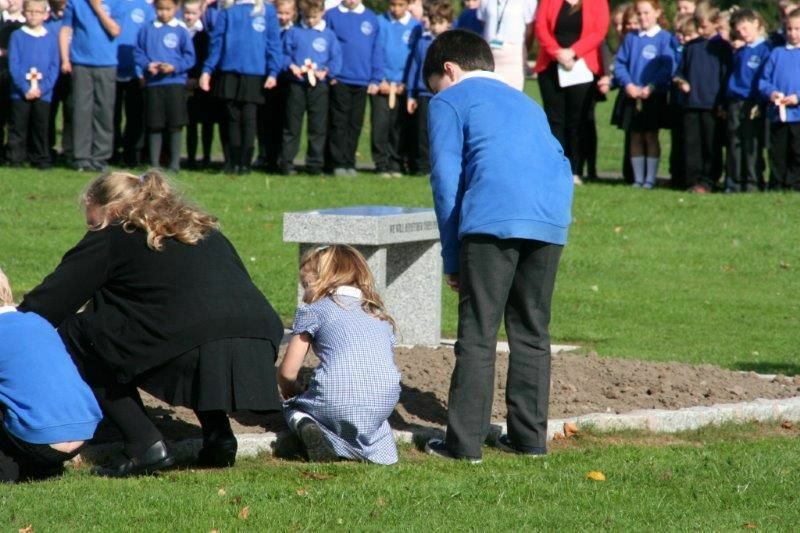 The children had researched the names of those lost in the Great War and they laid crosses with the names of those lost on them, in the order in which they died. 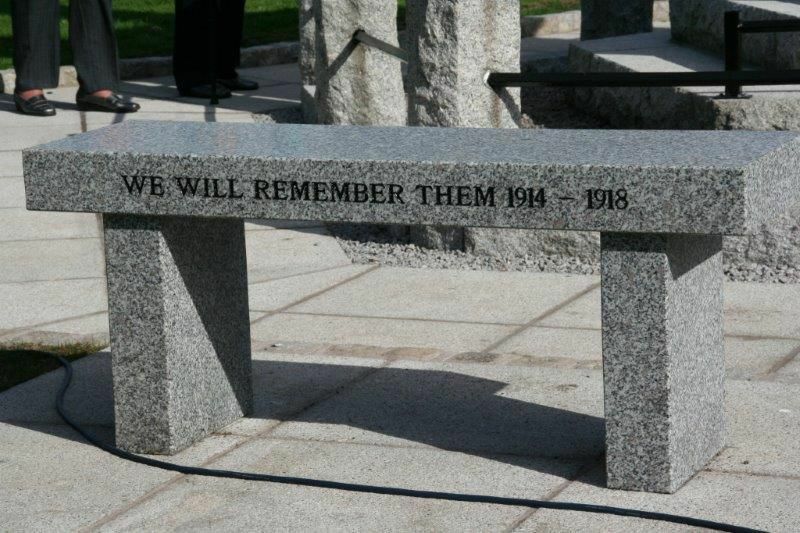 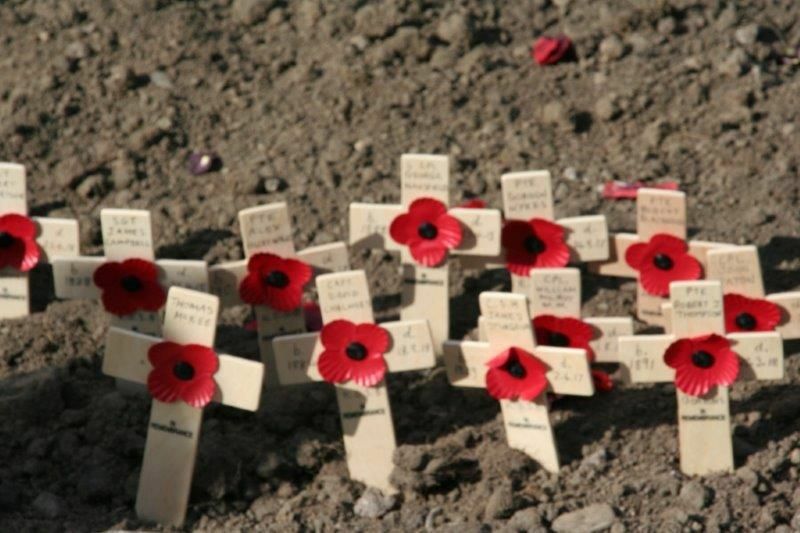 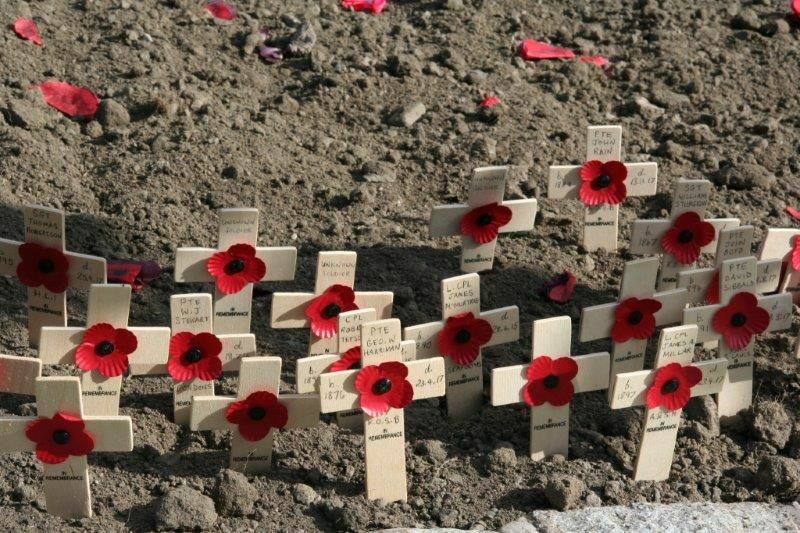 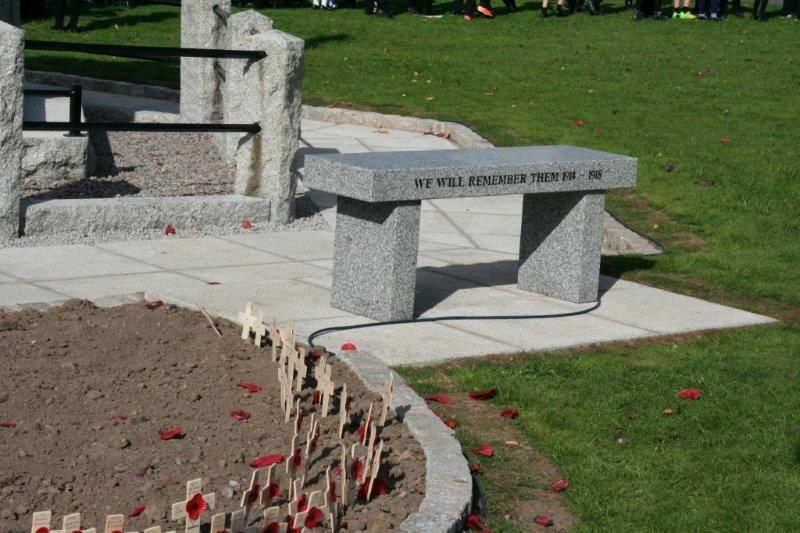 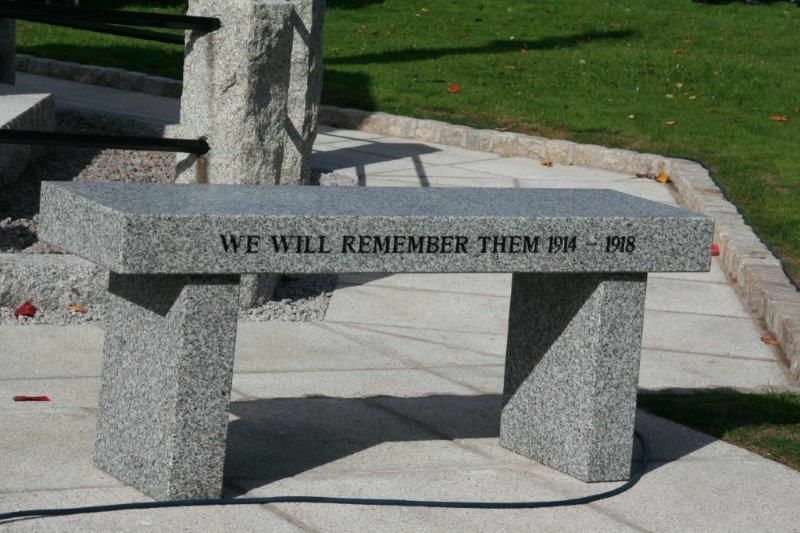 There were also crosses for unknown soldiers and 9 crosses for names which appear on another memorial. 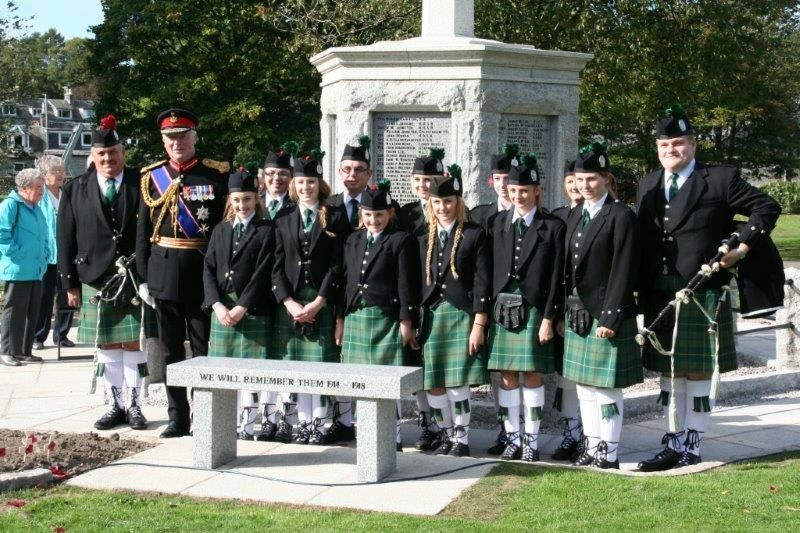 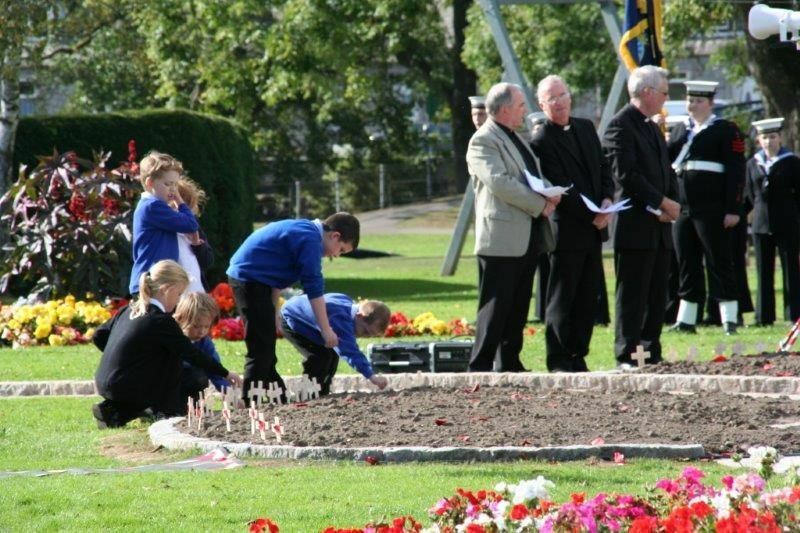 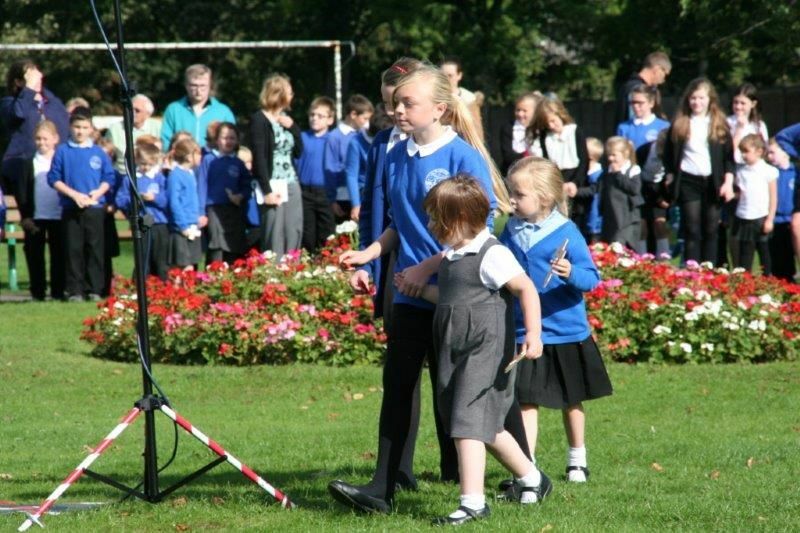 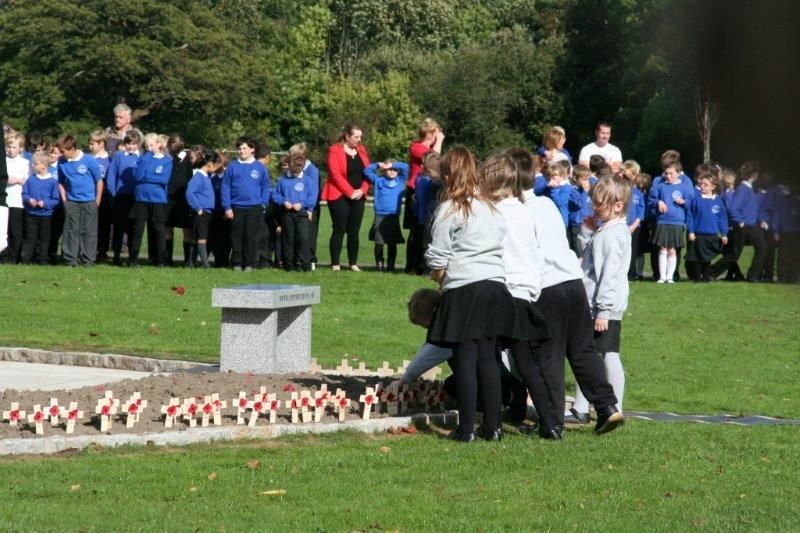 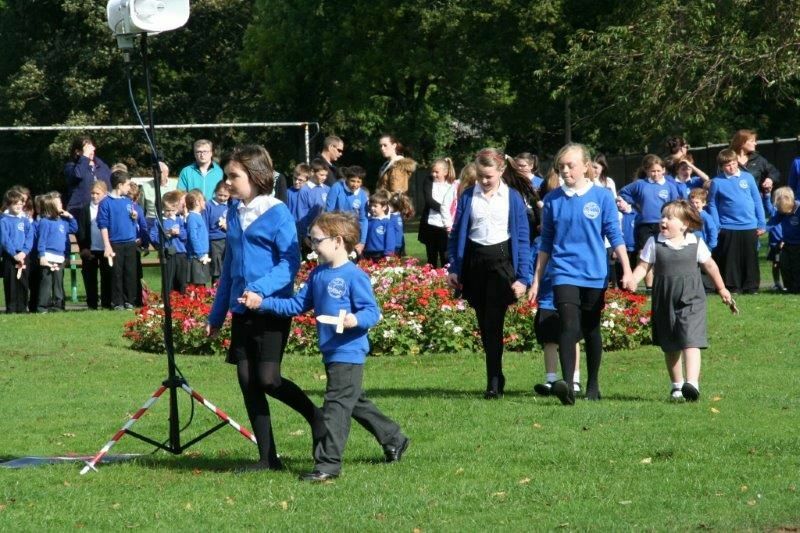 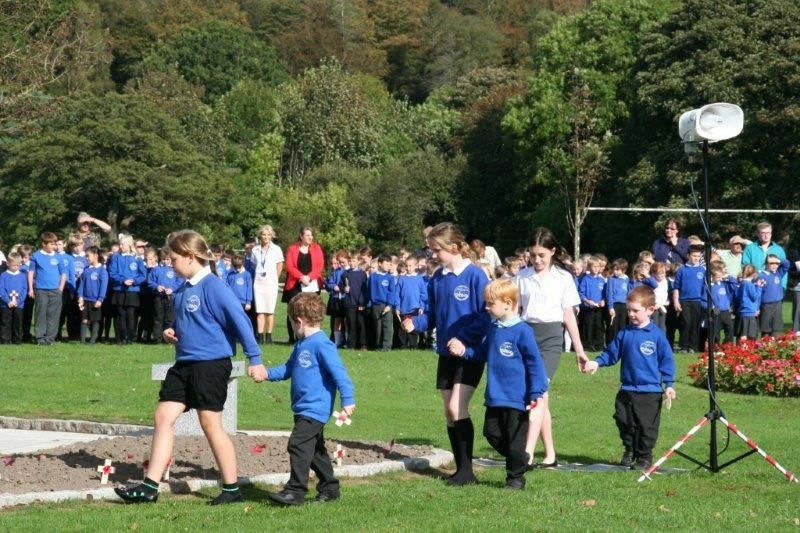 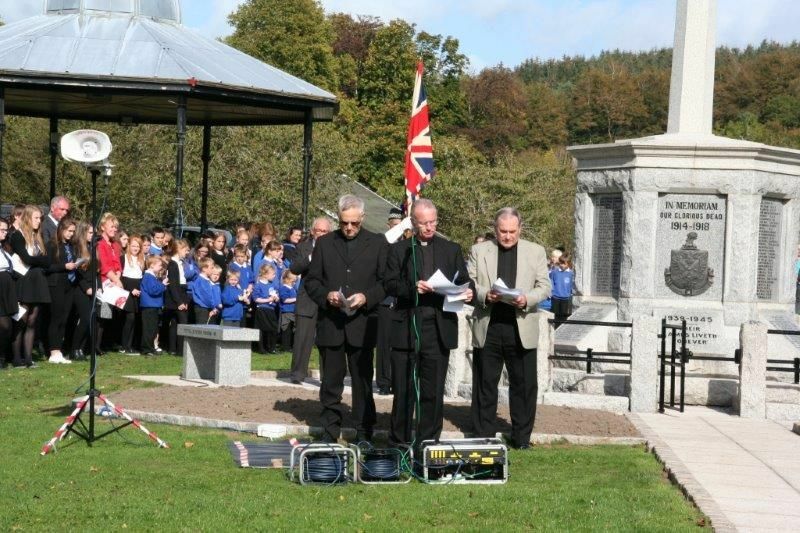 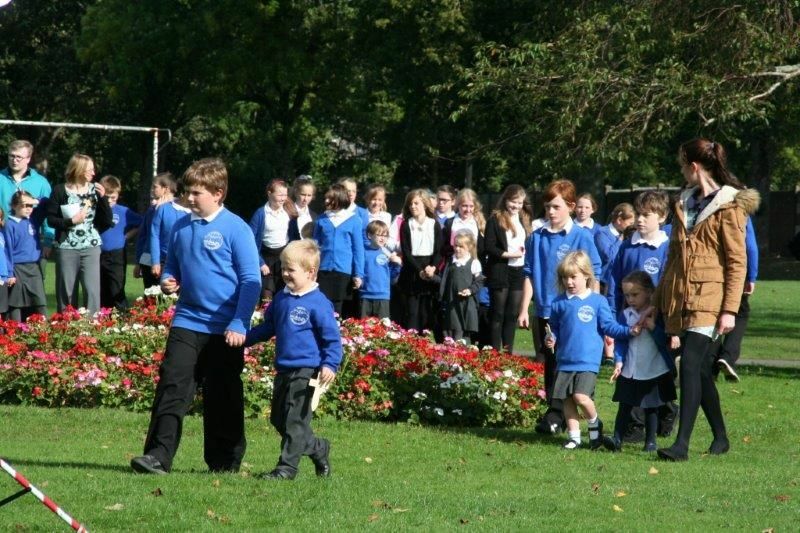 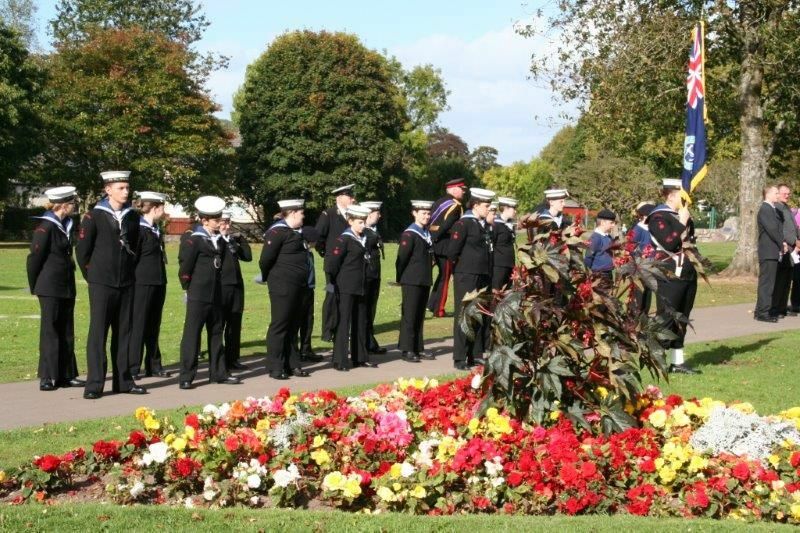 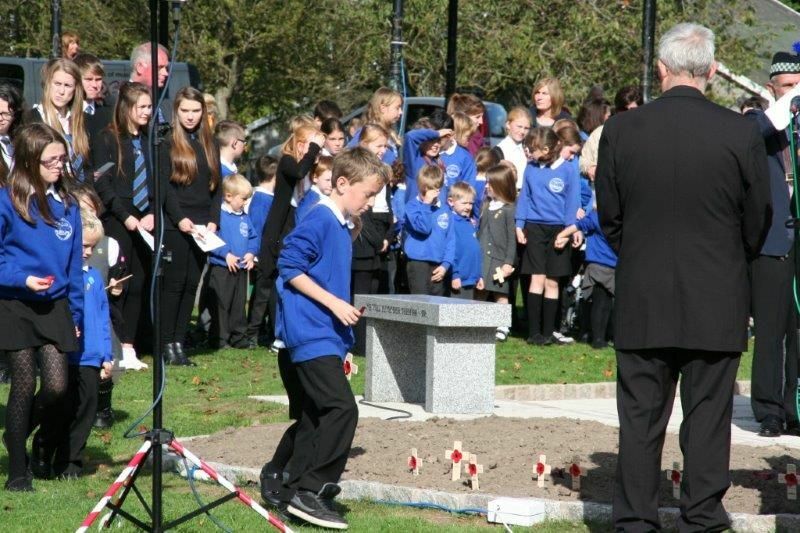 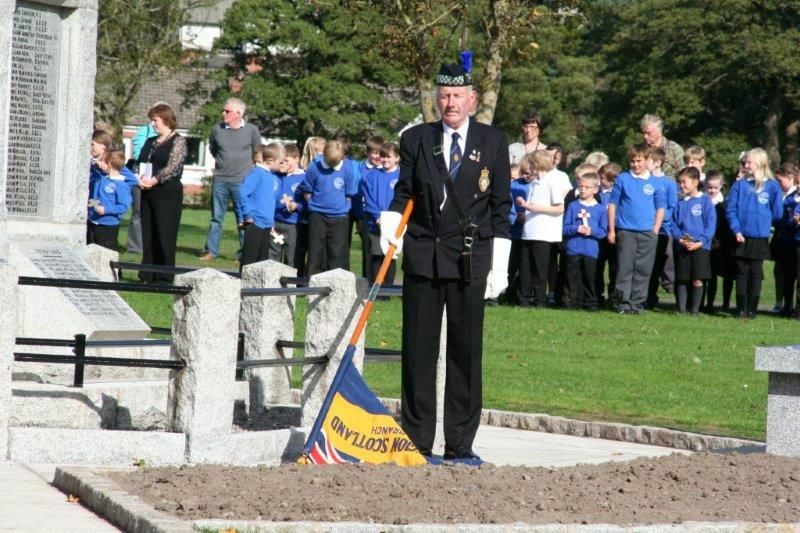 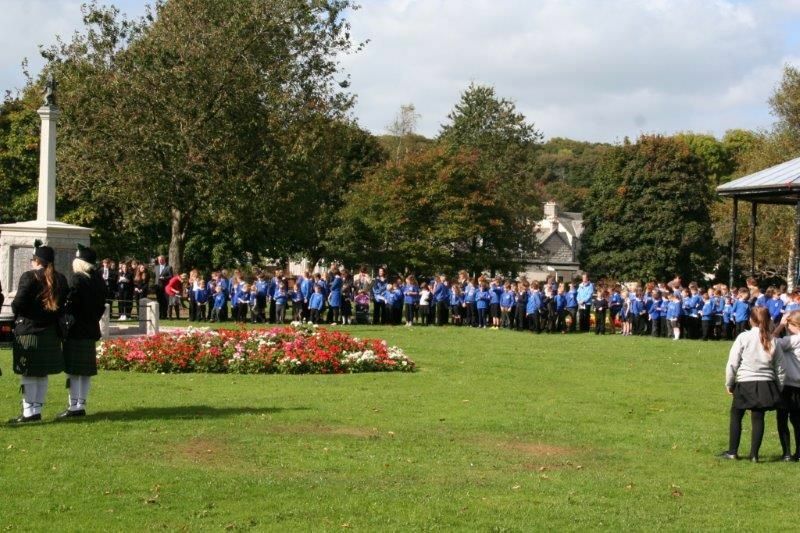 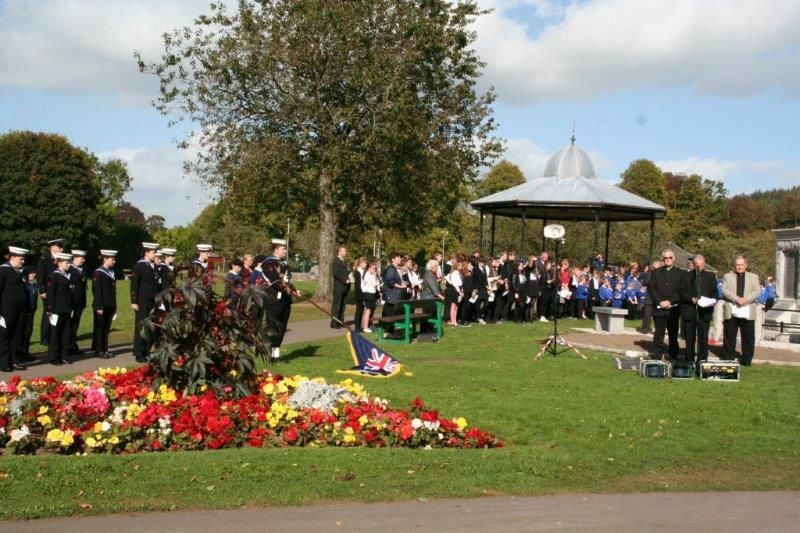 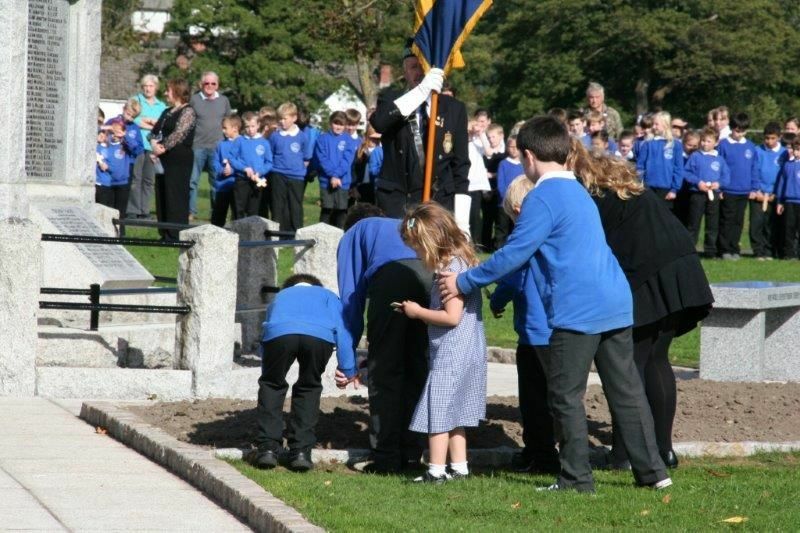 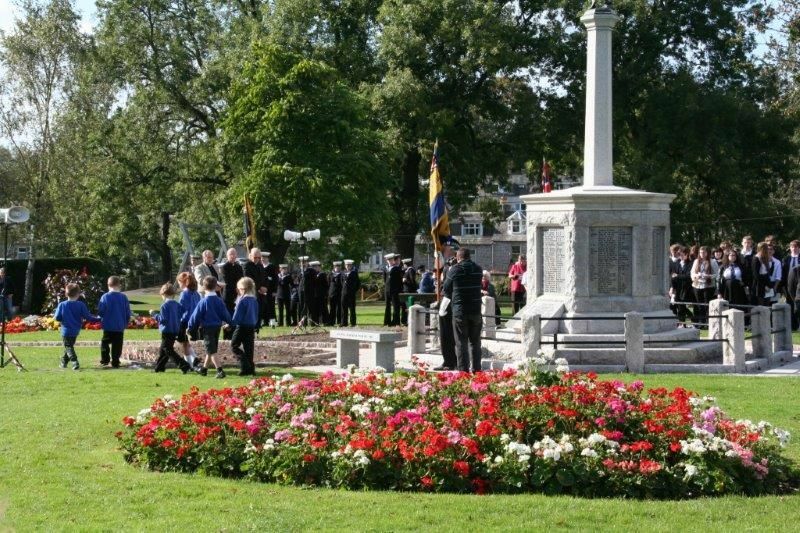 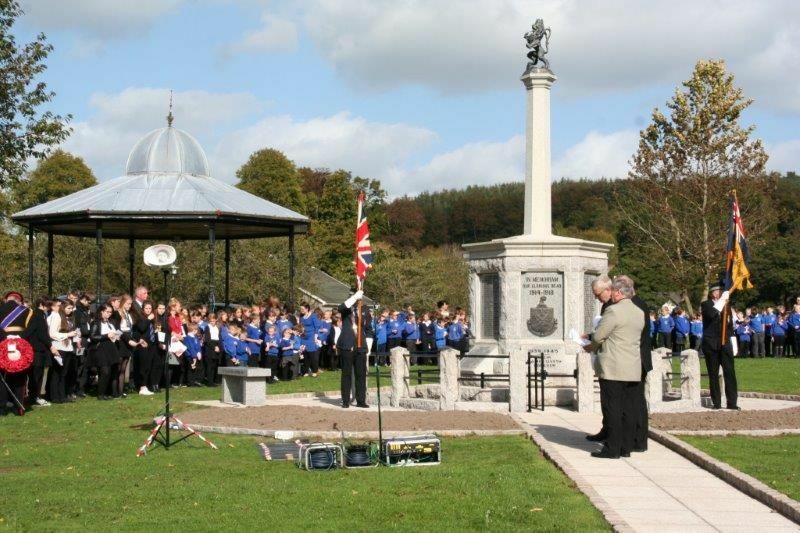 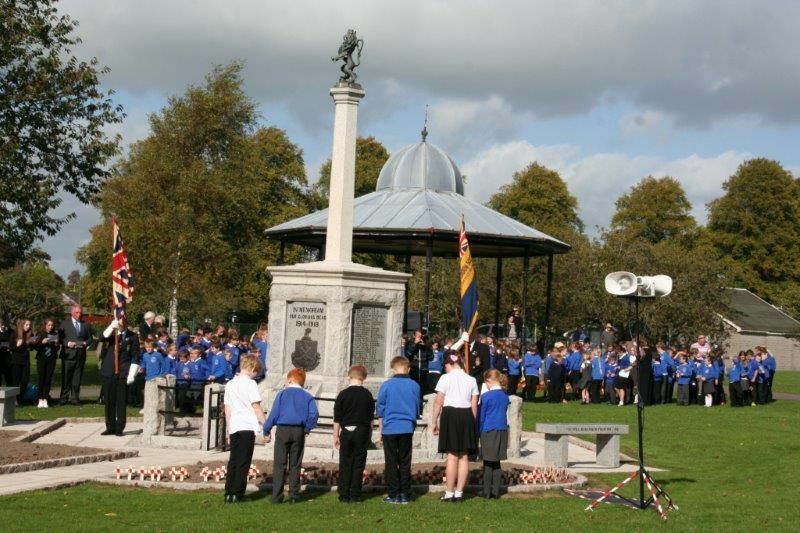 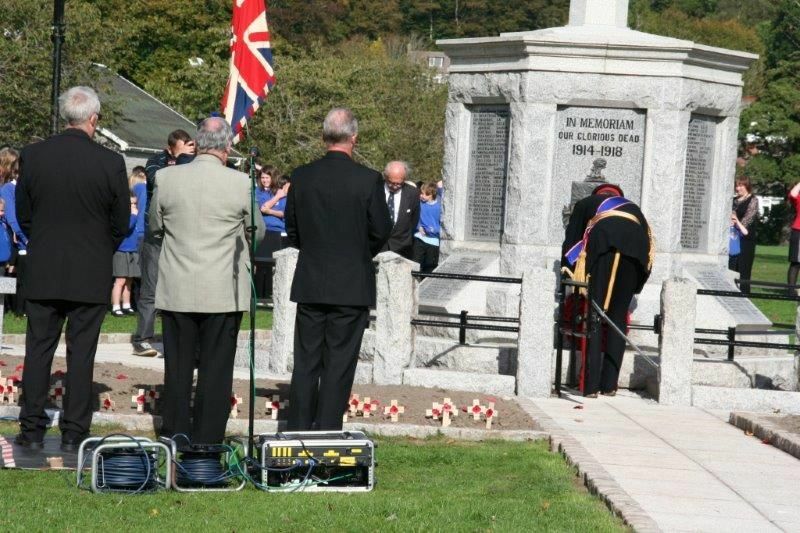 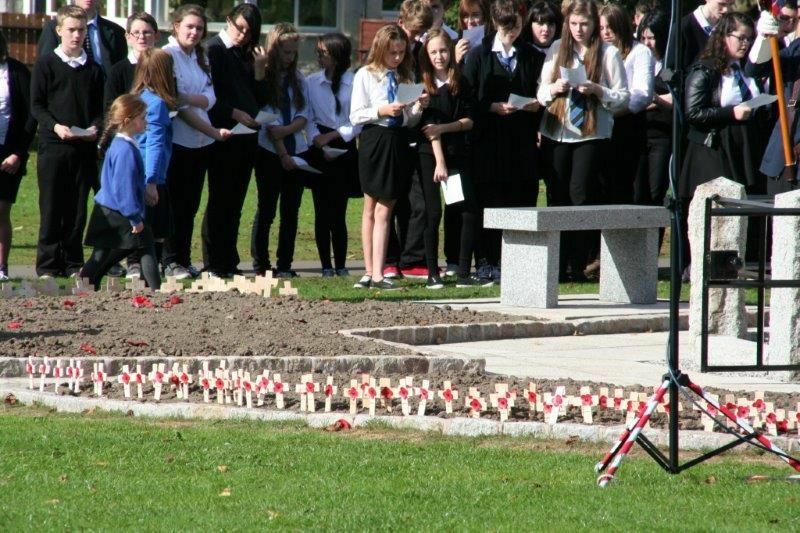 The children also scattered poppies and the Deputy Lord Lieutenant laid a wreath at the memorial. 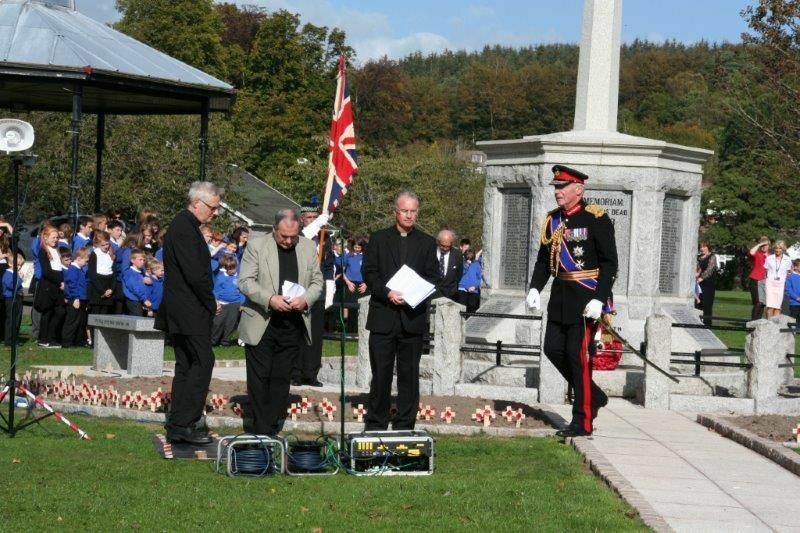 The photographs are all courtesy of Ann Atwell.